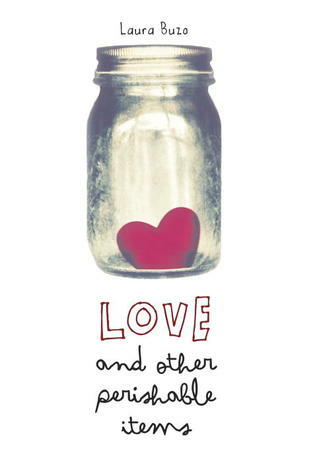 Love and Other Perishable Items by Laura Buzo is an Australian young adult novel that rotates between the point of view of fifteen-year-old Amelia Hayes and twenty-one-year-old Chris Harvey. The two work at Coles, a grocery store at the local shopping center. Amelia has just started and it’s her first job, one she sought out because, “Money is never openly discussed in my house, but I suspect that last year was a bit tough. My sister Liza moved out to go to university in Bathurst, and my dad was longer than usual between jobs. Asking for money began to stress me out. Dad would say he didn’t have any cash and to ask Mum. Mum would sigh and look pissed off and give it to me with less than good grace. So I thought, Enough of that.” When Amelia starts working at Coles, she falls head over heels for Chris, even though he’s older and crushing on another girl at work (his age) named Kathy. Still, Amelia never skips a shift and enjoys their friendship (Chris is always calling her “Youngster,” especially after she’s just ranted about a book she’s read for English class when he will say, “Breathe, Youngster, breathe. You’re an Angry Young Woman”), even though the entire time she is hoping for more. Amelia controls most of the narrative, although the book occasionally moves between “The Purple Notebook” and “The Black Notebook,” where Chris writes about the day-to-day events in his life. For a period of time, Amelia and Chris also exchange letters, and their voices intersect, overlap, and juxtapose one another, as they tell different versions of the same events and allow the other to creep into their own stories as real-life characters. 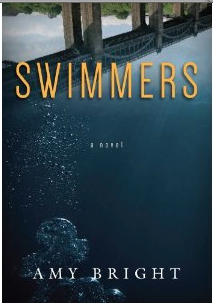 Buzo’s writing moves between poignancy, laugh out loud humor, intricate detail, and an incredible sense of writing believable teenage characters. 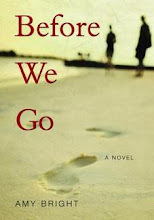 Although the age gap – fifteen and twenty-one – seems too discursive to fit within the same book, Buzo highlights the new trend of emerging and new adults living at home during and after graduating from college (Chris), and the strange sense of “in between” adulthood and childhood that it presents, strangely similar to the experience of young adulthood (Amelia). Their voices allow Buzo to examine both high school and university, before bouncing back to the common, shared ground of Coles (which Chris continuously refers to as “The Land of Dreams”), where they are similarly positioned. The book spans over a year in both Amelia and Chris’s life, as they deal with home situations, long shifts at Coles, friendships, work drama, relationships, memory, and moving forward. Amelia and Chris regularly meet in the break room to talk about the things that bother Amelia, specifically, the books that she has to read in English class. Her interpretation of the books she reads comes up against Chris’s interpretations, both of them shaped by their past, present, future, and, more importantly, their experiences with unrequited love. Chris’s own complicated sense of “moving forward” from a relationship with Michaela (after he writes a particularly profanity-laden journal entry and wonders what his grandchildren will think if they ever come across his notebook, he says, “Probably that their grandpa had his heart ripped out, bloody and still beating, from behind his shattered ribcage by a wily Western Australian. Which is pretty much what happened”) shows him reading the relationships in the canonical novels Amelia reads as tragic and doomed. The two discuss Great Expectations in depth, particularly the ending and whether or not Pip and Estella should end up together. They go beneath surface readings, as Chris tells Amelia about Edward Bulwer-Lytton, a friend of Charles Dickens who suggested that he make the ending of Great Expectations more hopeful, with the possibility that Pip and Estella might get together (Bulwer-Lytton, Chris tells us, was also the first author to use the opening line, “It was a dark and stormy night.”). Both characters are extremely likeable, even at the times when they are also hopelessly flawed. For anyone who has had a job through high school and college, the scenes at Coles are incredibly perceptive, and an entire cast of characters exists in that grocery store to cover a vast range of types and personalities. Chris and Amelia’s age difference makes the story interesting and uncertain, as they maneuver consistently around the arms length space that remains between them. Buzo’s book also has one of the most accessible conversations about feminism that I think I have read in a young adult fiction novel (aside from Libba Bray’s Beauty Queens), and both Chris and Amelia engage in debate from both sides of the fence. I read Love and Other Perishable Items in one sitting, and loved the anticipation of moving between the two points of views, listening to Amelia narrate a few months of the year before allowing Chris to provide his perspective on the same timeline. In a book about two characters at two completely different stages of life, Buzo aligns their stories with an ease and beauty that makes the two characters seem at home within the same pages. Readers experience the familiarity of high school as well as the yet undiscovered world of college, and watch those two worlds bump up against one another as Amelia and Chris navigate a year in their lives.